She was the David Bailey of her day. Julia Margaret Cameron, celebrity photographer of Victorian times and famous Isle of Wight resident, would have felt at home with the hubbub earlier this year over the wedding of Sherlock star Benedict Cumberbatch to Sophie Hunter on the island, and their plea for privacy. 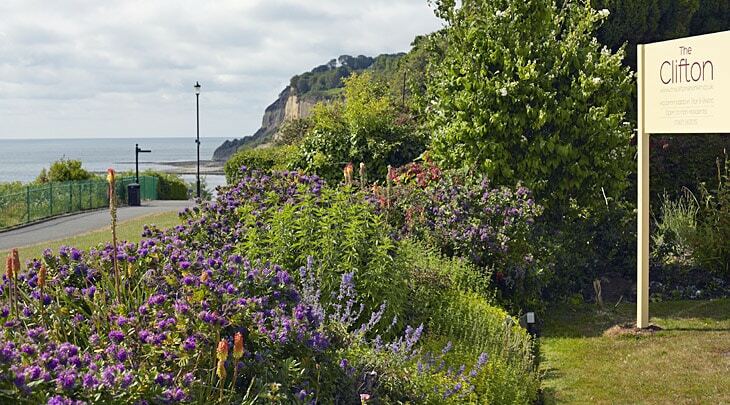 Cameron, a great-aunt of Virginia Woolf, lived at Freshwater Bay, the bohemian retreat of poets, writers and artists, and she often helped her neighbour Alfred, Lord Tennyson avoid his adoring public. Cameron lived here because of Tennyson. After meeting the poet in 1860, she became a frequent guest at his home, Farringford, until he pointed out bluntly there were two cottages nearby for sale - she bought both, one for family and one for guests, later uniting them with a central crenellated tower. Dimbola Lodge was Cameron?s home for 15 years. It was rescued from demolition in the 1990s and is now a museum. It was where she learned her craft. For her 48th birthday, Cameron was given a camera by her daughter. She turned a chicken coop into a studio and coal cellar into a darkroom and set to work, photographing Charles Darwin, the poets Robert Browning and Henry Longfellow ? and Tennyson, of course. The studio has long gone, but a room full of dressing-up clothes for her early portraits is near her bedroom ? she even had a bay window installed there so that she could keep an eye out for passers-by. No photogenic tourist was safe. In this the bicentenary year of Cameron?s birth, a changing selection of original prints joins those portraits of Victorian celebrities in this quirky museum. One Dimbola gallery is devoted to the Isle of Wight Festival, held in 1970 close to the property, and where Jimi Hendrix gave his last live UK performance ? hence the statue of the guitarist in the garden. The Freshwater poets and writers used to make regular trips around the island, and it is still picturesque today ? from chalk downs to dramatic ravines. While on the Island you can also treat yourselves to a locally made gourmet ice cream from Minghella ? just like Benedict and Sophie did at their wedding.